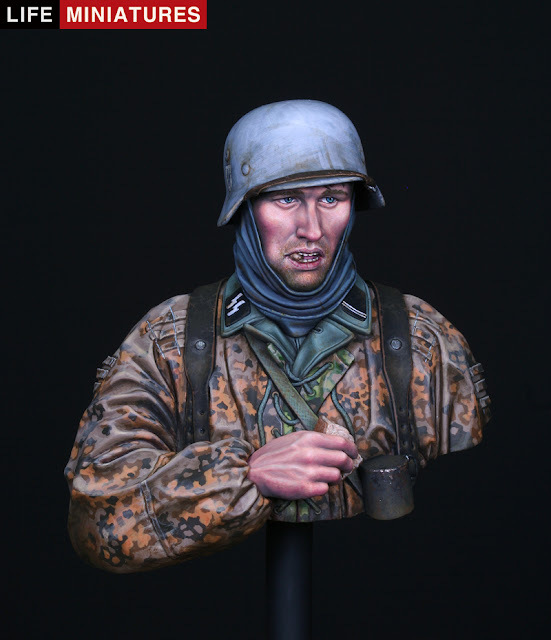 The Modelling News: Sang Eon Lee's Waffen SS Infantryman Ardennes comes to "Life"
Sang Eon Lee's Waffen SS Infantryman Ardennes comes to "Life"
Sang Eon Lee has a new figure in his series of busts in the Life Miniatures range of figure busts – this figure of a German SS soldier in World War II captured in December of 1944 in the Ardennes forest . 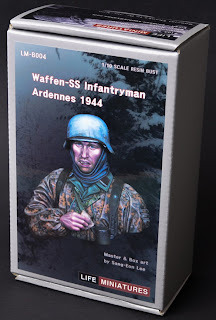 we will look at him and put him together in detail in our review..
Master modeller Sang Eon Lee has released the fourth figure from his new company “Life Miniatures” – this time the inspiration has come from the dark days of December 1944/ January 1945 – the place – the Ardennes forest, the subject – a Waffen-SS Infantryman. 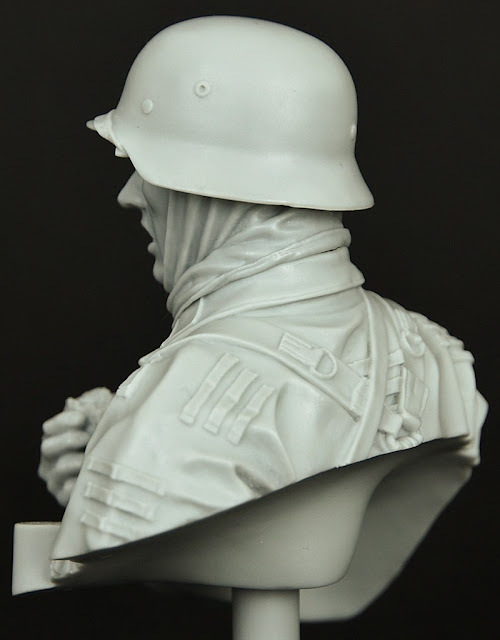 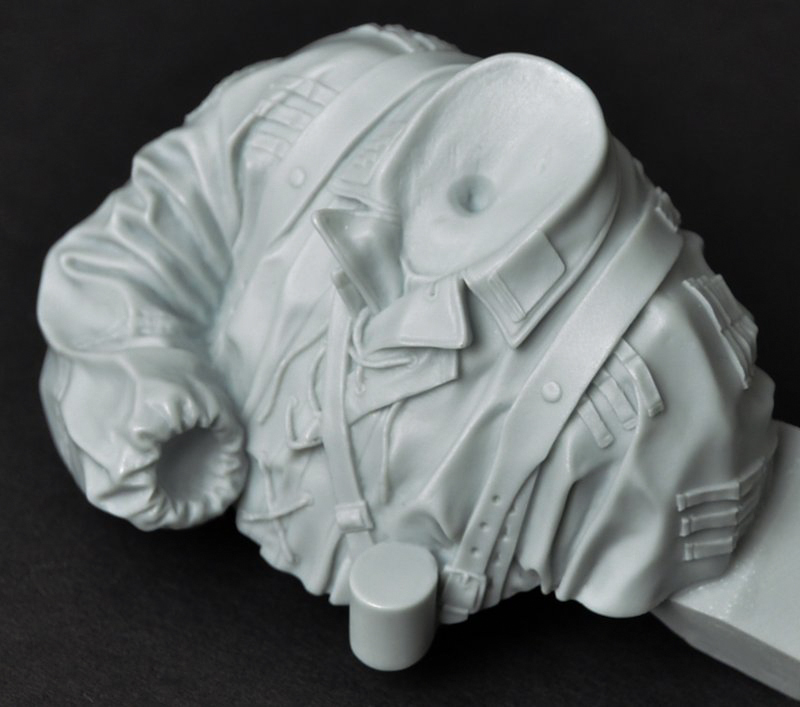 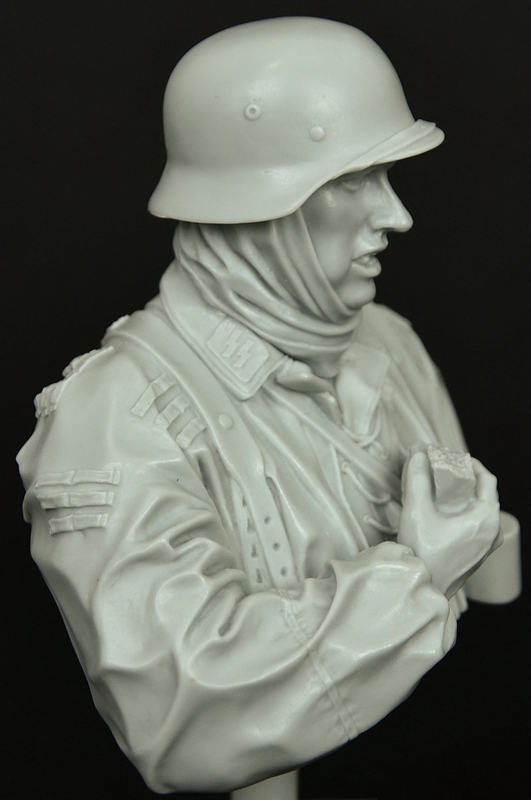 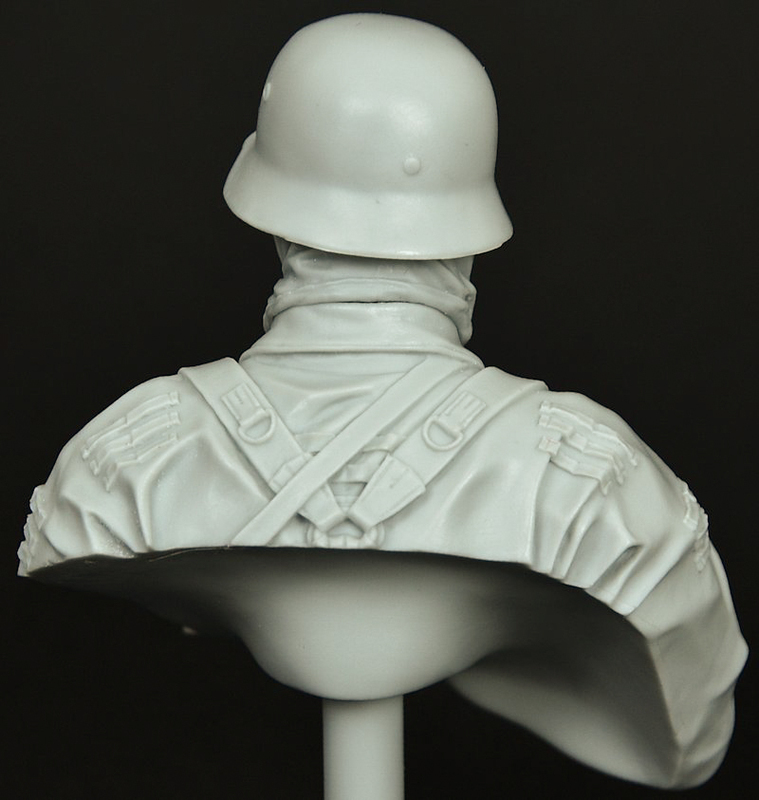 The bust is scaled at 1/10 of the real thing and contains five parts in grey resin. The figure comes very securely packed in a grey box not unlike the other releases in this series. 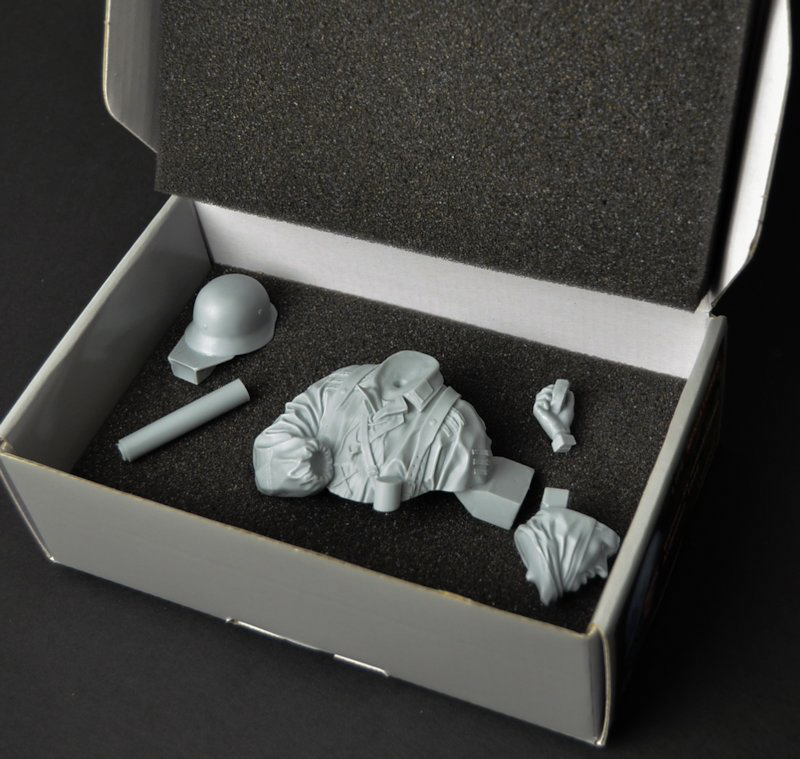 Padded with black foam either side to make sure you receive the parts safely. The attractive looking box art shows the figure constructed and painted by Sang Eon himself – why not I suppose? 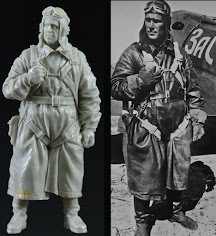 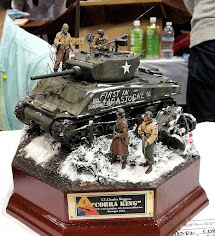 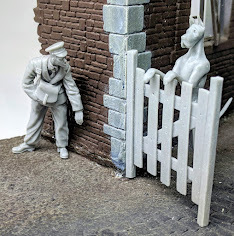 It sets a high bar for the regular modeller – I will talk about the artistic merit of the sculpture later - let’s have a look at the resin that we have to work with. 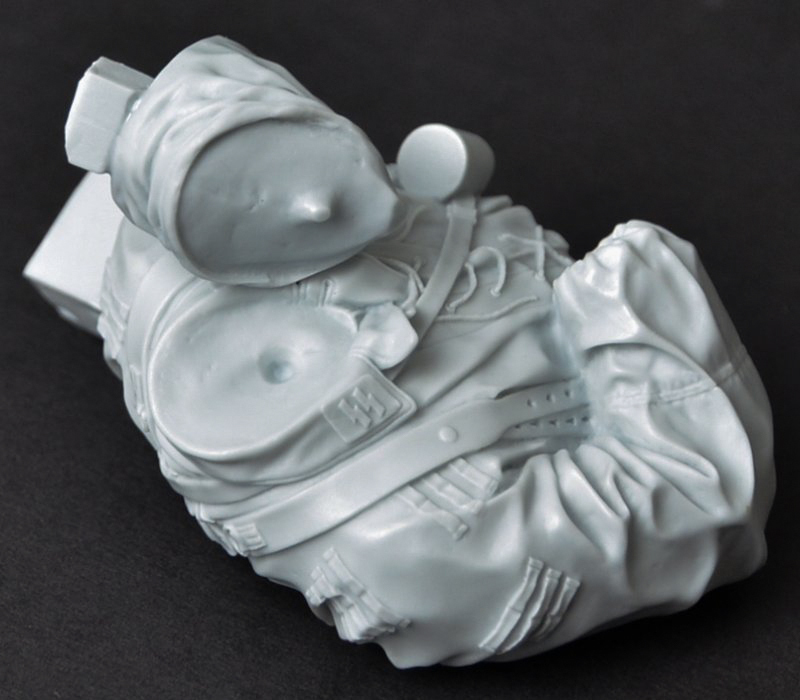 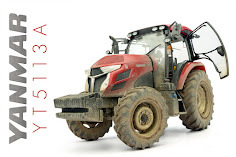 They grey resin on offer is bubble free – even in the unfinished areas of the casting blocks which remain , in some of the five parts, pretty large. 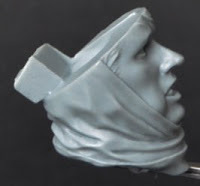 The light grey coloured resin smells awfully nice when it is worked and indeed all I needed to remove any casting blocks was my trusty Xuron snips, a scalpel and a four sided casting block to smooth any rough cuts off. 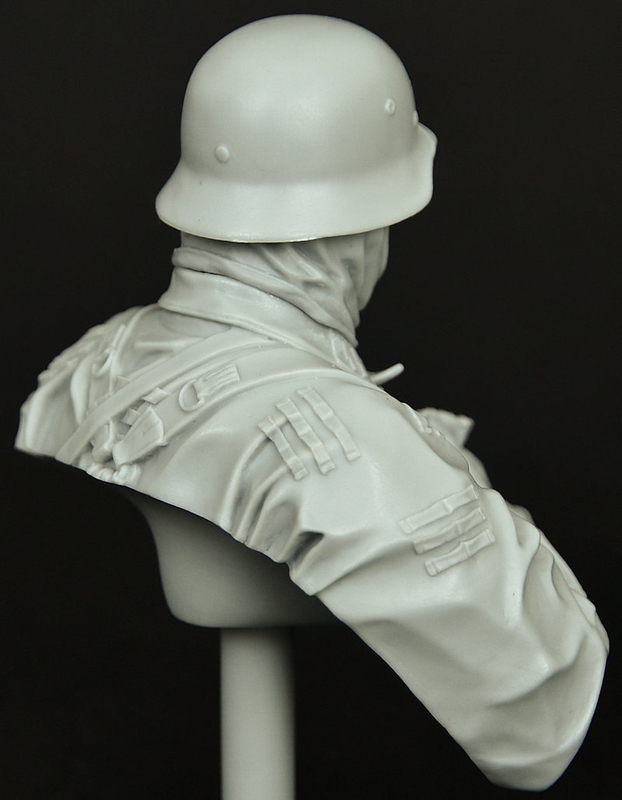 Putting the figure together from un-boxing to ready to prime took only 20 minutes with the aid of some superglue. 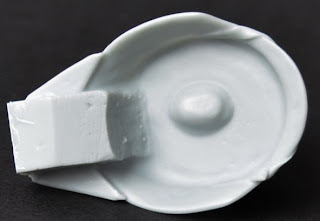 Construction was aided by the smart engineering of two three of the points being prepared for you already. 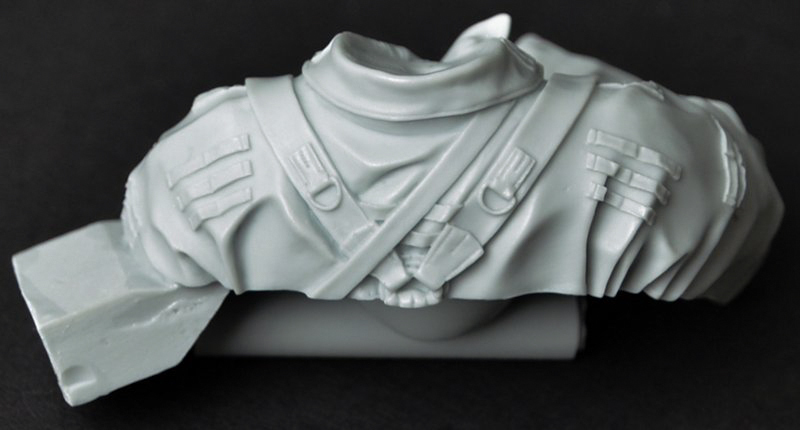 The joint from the helmet to the head, the neck to the torso and even the torso to the stand are all socketed in their own way so pretty much all you have to do is apply glue and you are “set”. 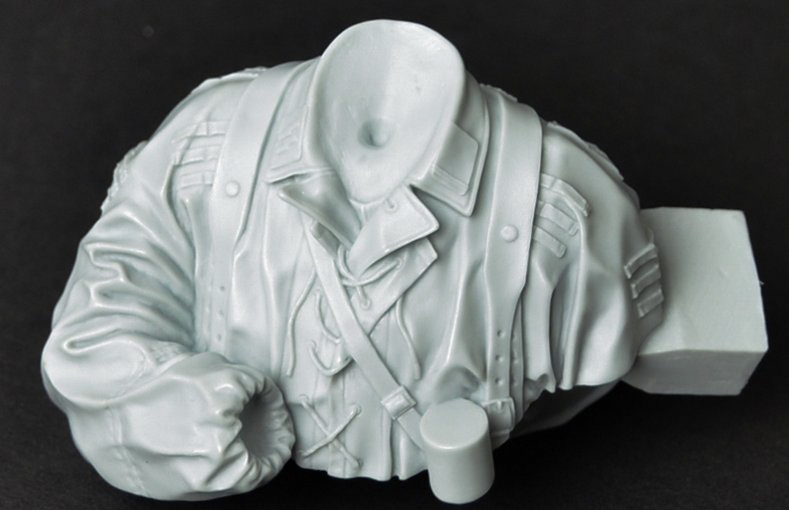 The hand holding the bread goes straight into the sleeve as well – no joints are visible after securing them so that you can prime and paint this figure separately and then glue it all together when you are finished. 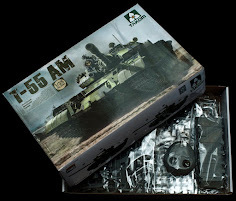 I am really impressed by the resin on offer and the engineering of the parts of this kit. 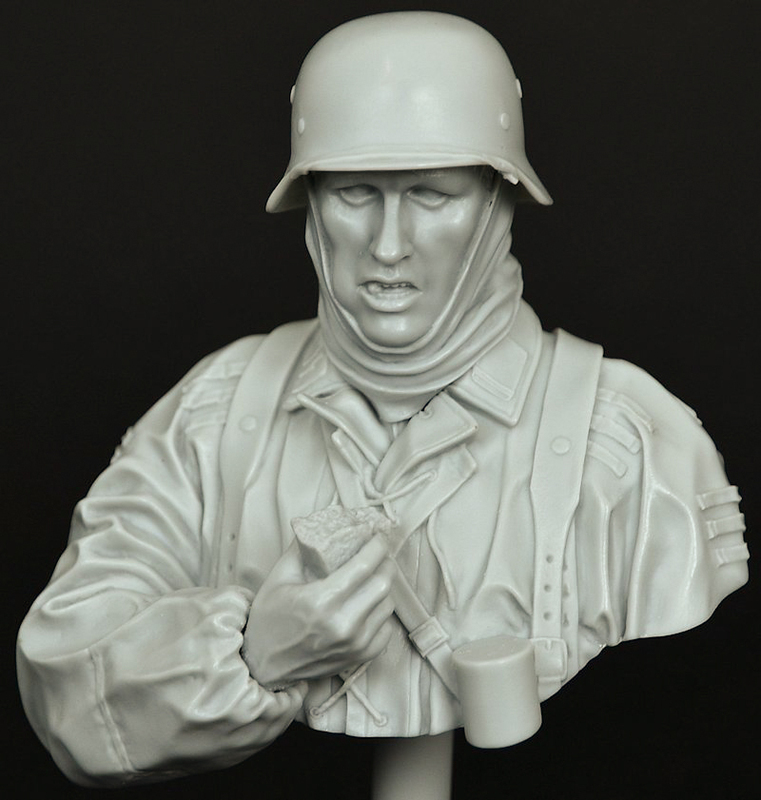 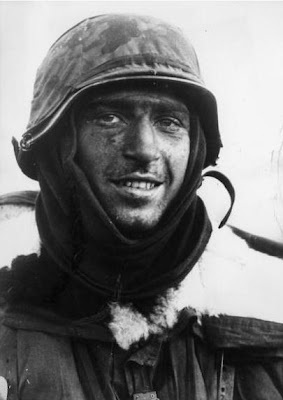 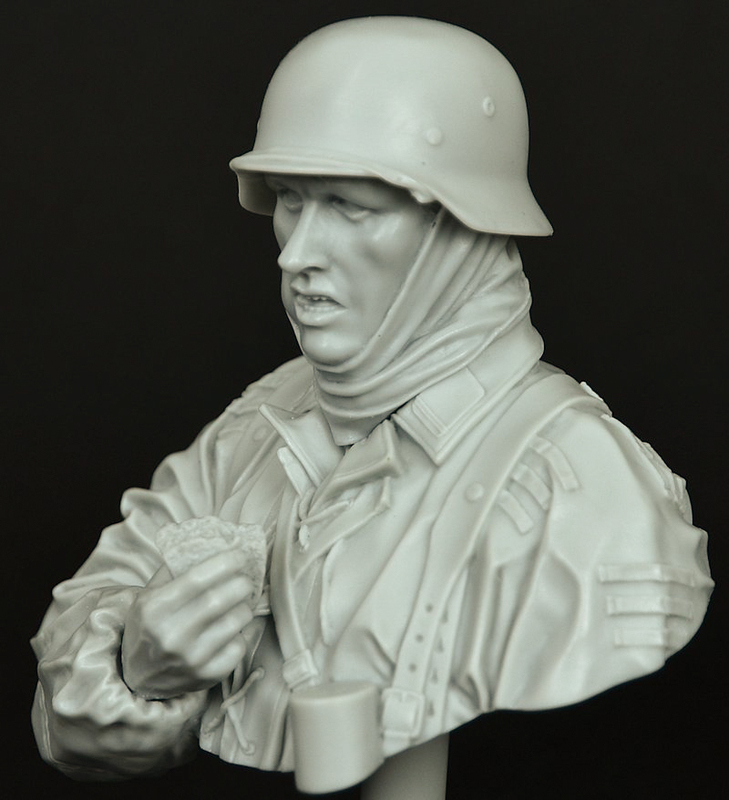 The Subject:This bust shows a Waffen SS soldier, wrapped up against the elements of a very cold winter in 1944/45 in the Ardennes in Belgium. 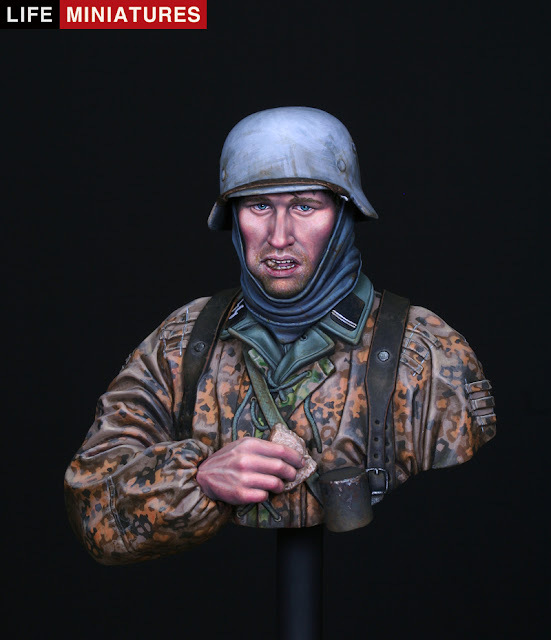 He is shown eating some thick bread with some of it left in his mouth, he is captured mid chew in a naturalistic pose that will no doubt win a lot of modelling fans looking for realism. 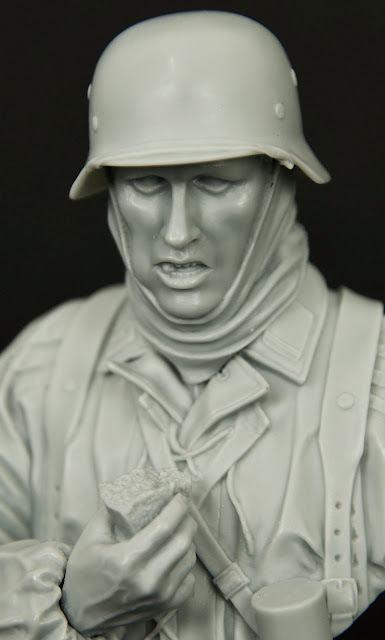 This is the second German Waffen SS soldier from Sang Eon and his new company Life Miniatures – Although that is two out of four so far he does stress that his influences are the life in the characters expressions rather than political organizations or certain groups of soldiers - So I went looking for what I thought his inspiration for this figure may be. 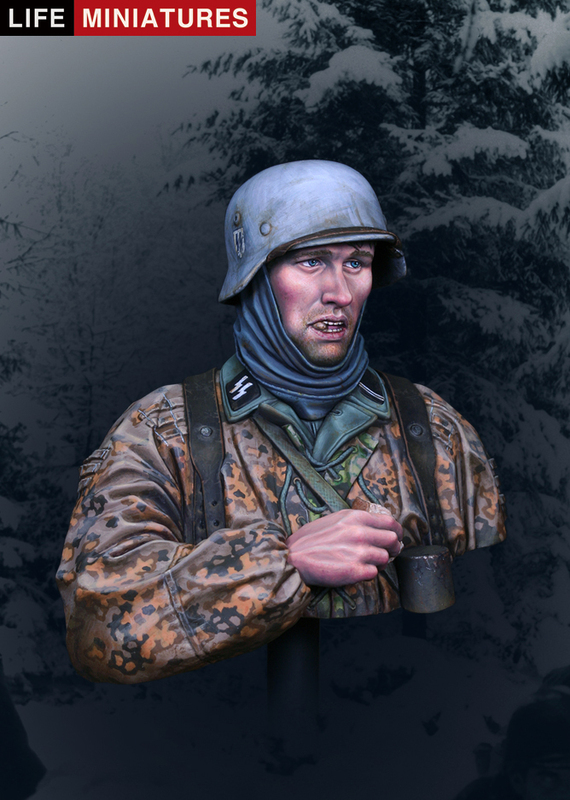 This bust reminds me very much of these series of well-known pictures from the Ardennes campaign in 1944 – though not the same soldier these men have the same cadence and have a lot of the same types of gear on – they certainly look the part – wrapped up against the cold and equally protected by their heavy weapons. 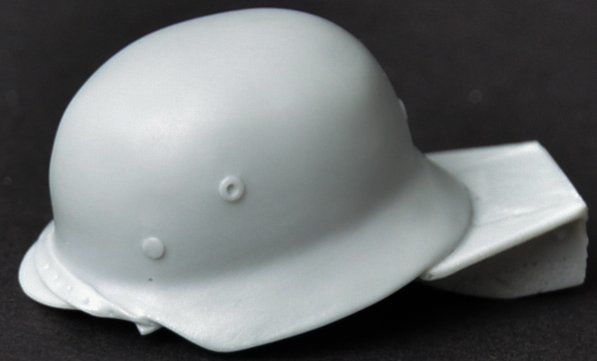 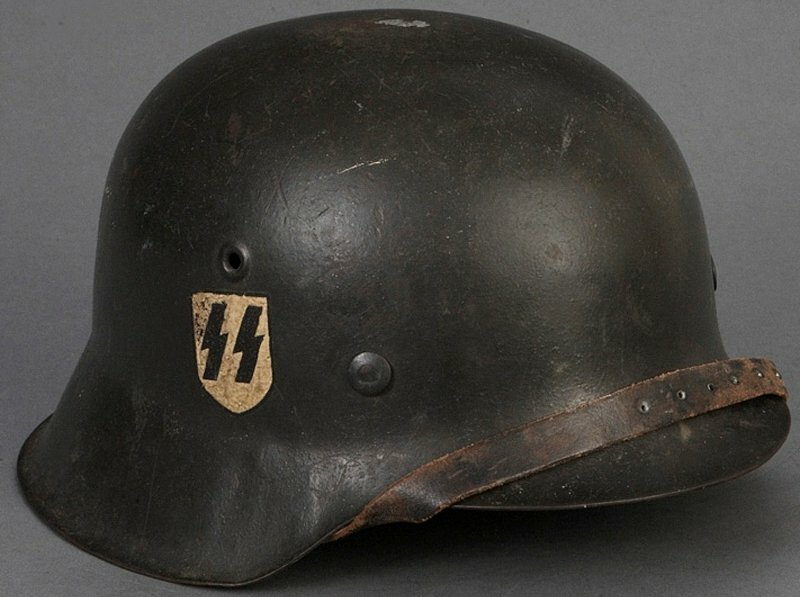 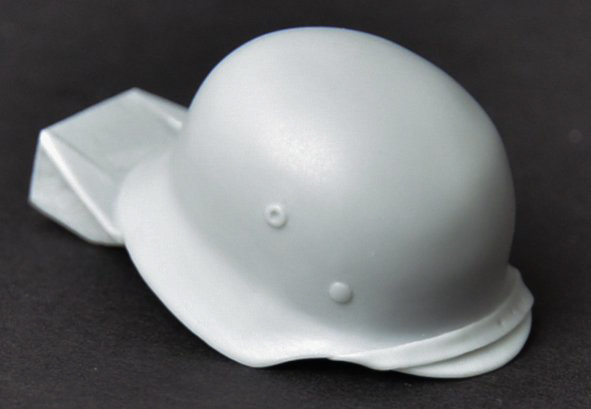 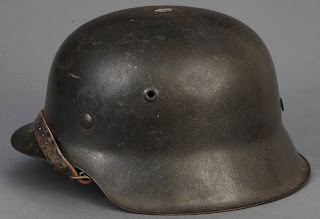 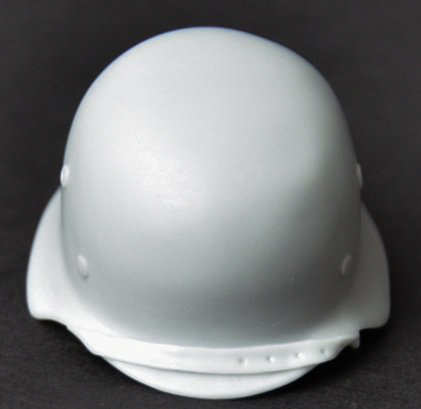 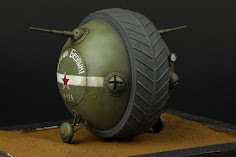 Let’s go through the parts – working from top-down..The soldier’s “stahlhelm” steel helmet has the right shape and all of the flush bolts which holds the inside lining in all of the right places. There is a large casting block to get rid of which is a bit of a pain in the rear as it worried me I would lose some detail whilst removing it, though with care taken this wasn’t the case. 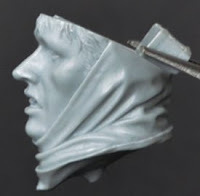 To be honest it is a pain but I really don't know where else to put the casting point – as you want the pointed joint so you can place the head in exactly the sculptor’s preferred spot. 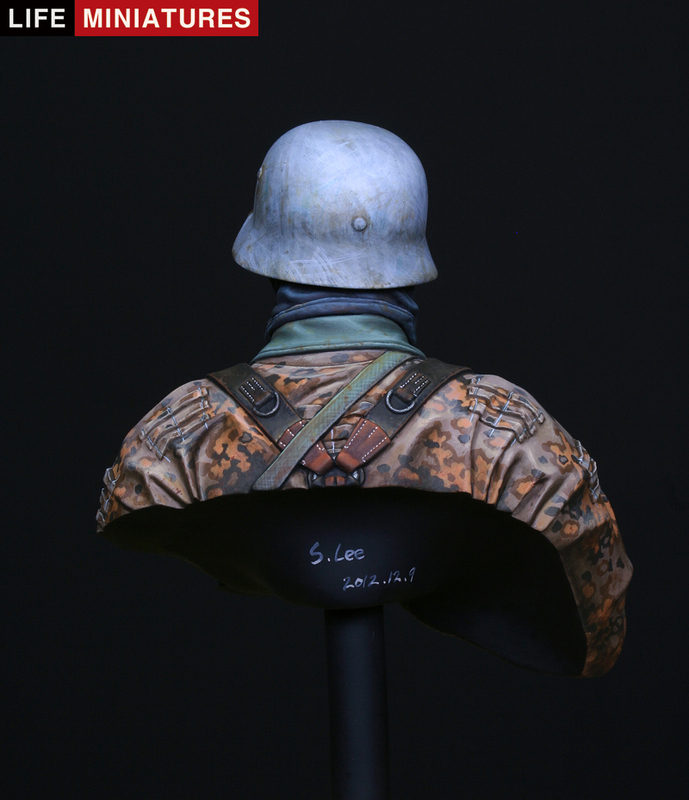 You can se by the pictures the helmet is caught in resin pretty well – this real SS helmet has the painted SS runes on the side just like the completed version on the box art. 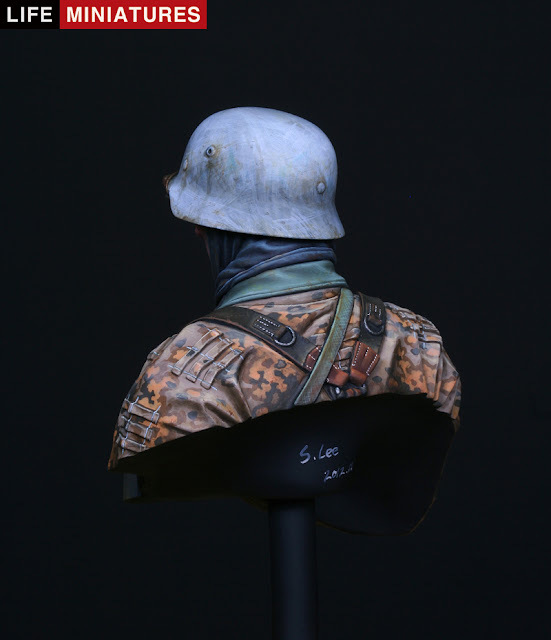 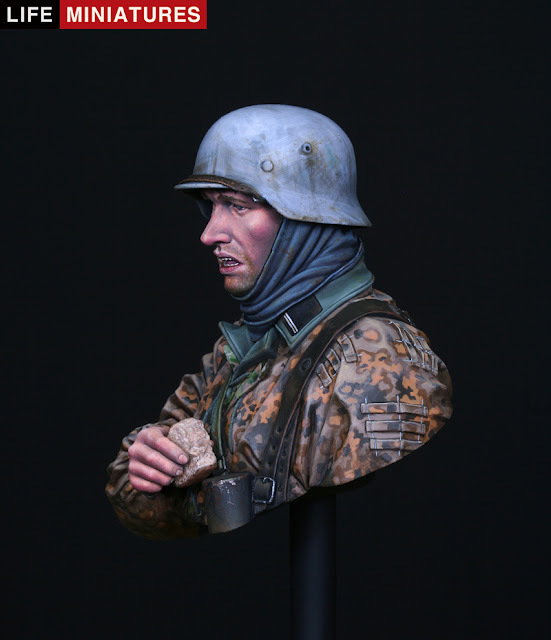 There is one head choice on offer – and quite attractive it is too – in realism that is - a pointed nose with very realistic features complete with hair which comes out of the joint of his helmet. The chewing of the bread is really well portrayed, straight away you can see what the soldier is doing, his cheek is filled on one side and the scarf or blanket covering his head is open and wrinkled. From all angles this face and head looks realistic. 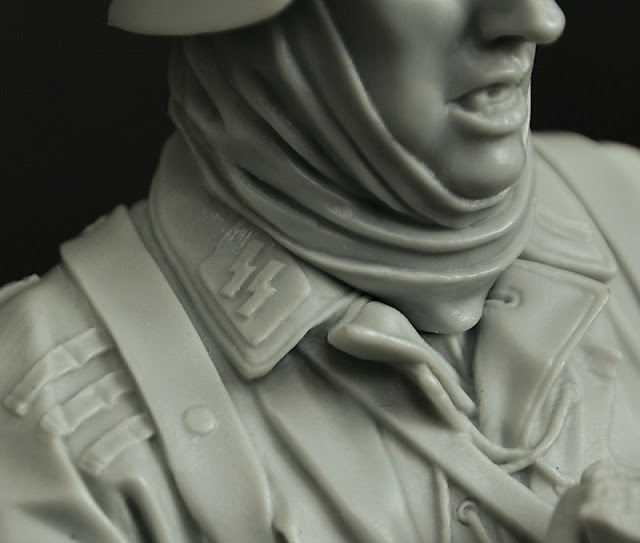 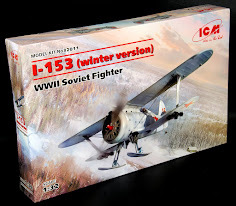 The neck joint here slips into the scarf and leaves you with no real gap after the figure is assembled – it is a time consuming way to sculpt the model but it is great to see it executed well – leaving you with an easy assembly which looks great. 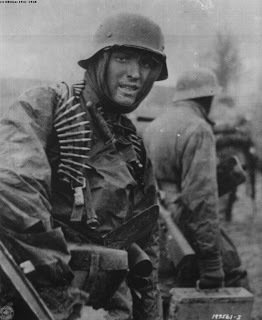 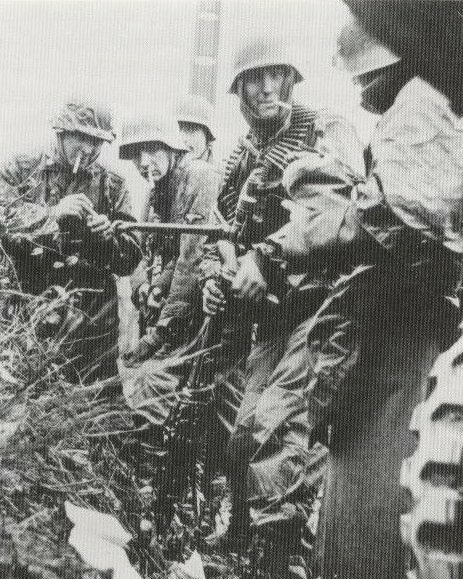 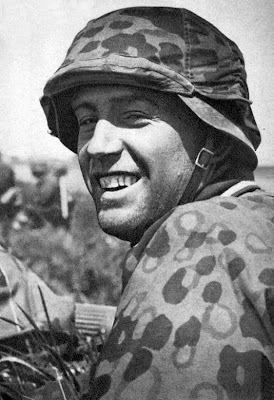 The Waffen SS soldier wears a reversible (summer & autumn camouflage) “Oak pattern A” Type 2 WWII era German “Tarnjacken” or smock – which was constructed from heavy canvas-like water-resistant poplin cotton. 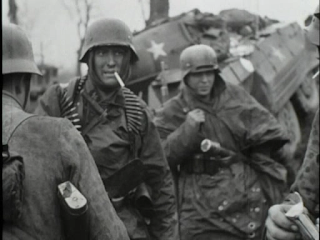 This “type 2” smock was the most common smock seen in the latter half of the World War Two and changed from the Type 1 style from the result of battlefield experience. Type II smocks were designed to be worn over the field tunic as well as the greatcoat but under the soldier’s field gear. 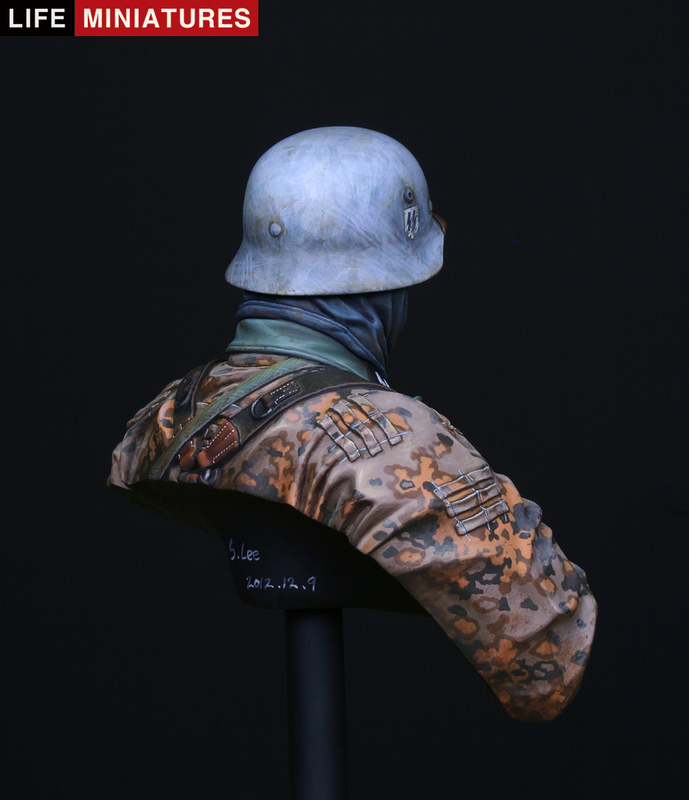 They featured reversible camouflage and pockets for different times of year – this painted version of the figure Sang Eon did is the “Oak pattern A” of browns and blacks. Very effective with the coloured helmet – not just an artistic touch – this soldier would be either wearing this or a white overall covering at this time of the year. 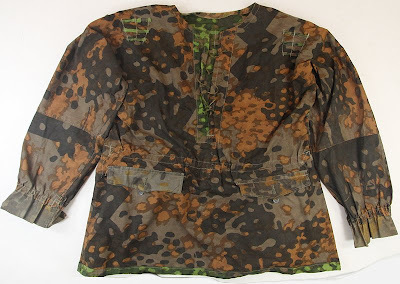 The sculpting of this smock is particularly impressive – with a rumpled but still thick looking material especially on the sleeves and the parts where the soldier’s webbing pinches over it. 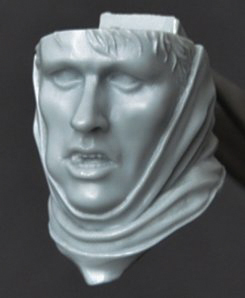 Not overdone but just right. 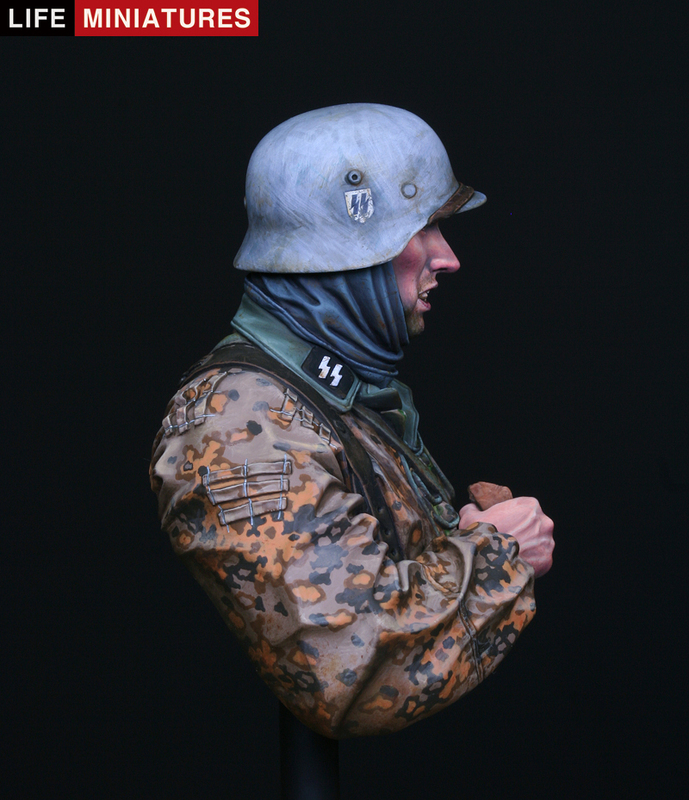 The laces which secure the front of the smock are well rendered as are the small attachments on the shoulders and the soldier’s back. 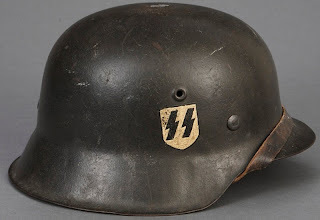 These were used for the attaching of local flora for camouflage.Impressive as well is the soldier’s webbing, which is the usual pattern but neatly creates creases in the smack and will detail up very nicely, especially around the edges of the straps and the hooks. Lastly we have a hand holding the bread the soldier is eating. 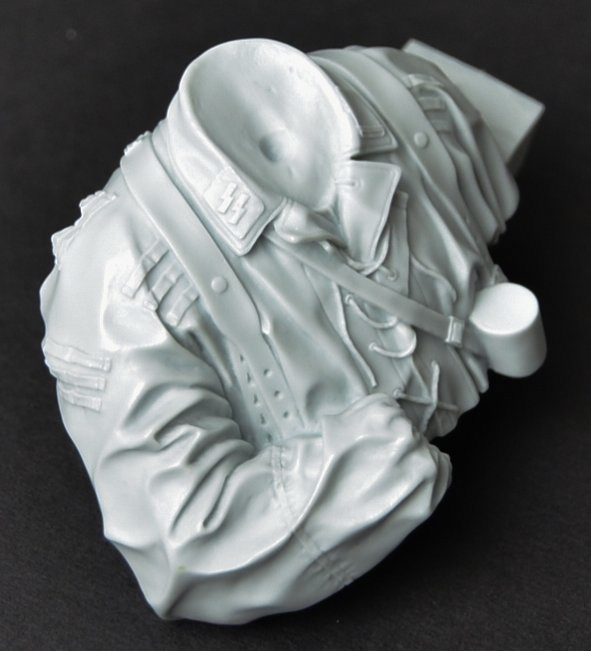 Once removed from the casting block this simply glues straight into the socket joint in the sleeve which all but covers the join. 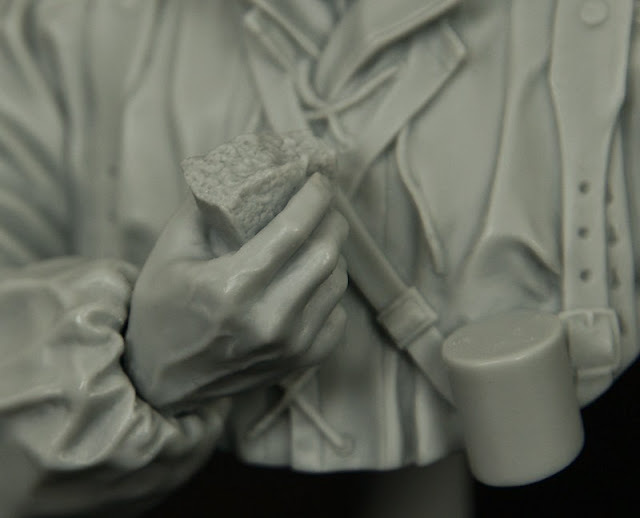 The tendons of the hand and the veins are clearly seen and the separation between the hand and the bread is deep enough to look like they are two separate pieces. 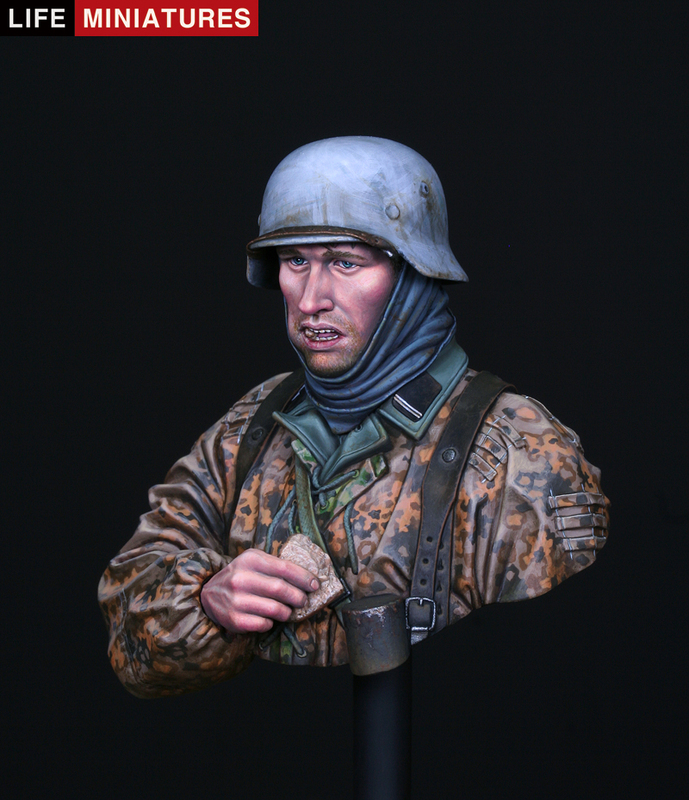 The bread is really well sculpted particularly – and don't forget the bit of bread still in the soldier’s mouth! Well here he is all made up – very nice! 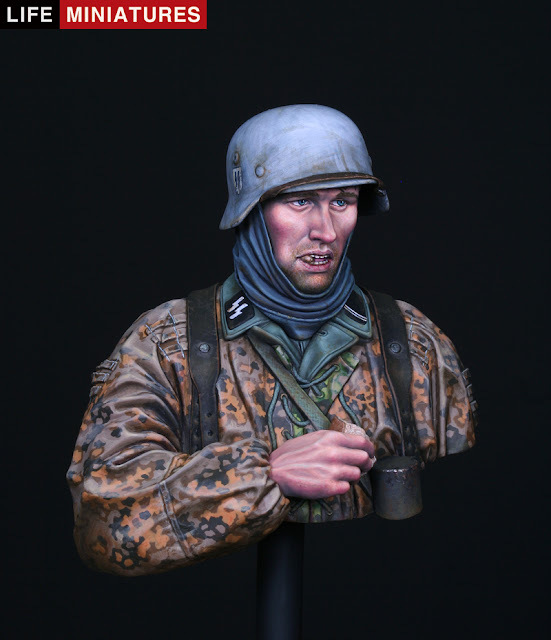 All in all I am really impressed by this bust – niggles like casting blocks will always be there n any resin figure – but once you are past their removal you will pay no more heed and just enjoy painting your beautifully rendered figure. 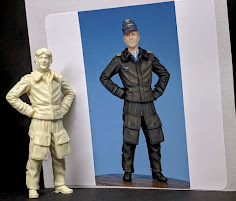 I was impressed by Life Miniature’s earlier figures – this one has raised the bar a little higher – excellent work Mr Lee! 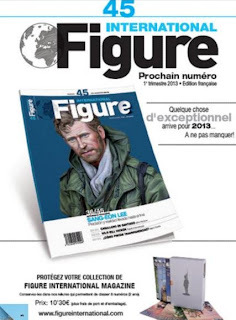 This figure will be featured in the next issue of Figure International Magazine from Andrea Press – they have done a large interview with the man himself – showing off the works of Sang Eon and featuring a step by step painting guide especially written for the mag. 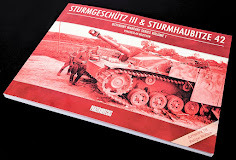 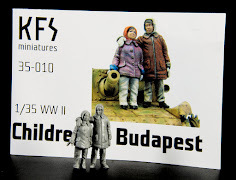 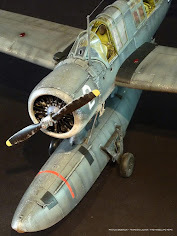 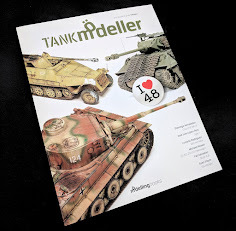 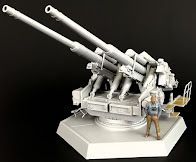 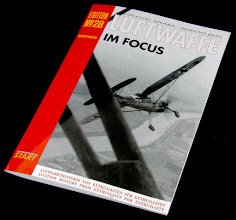 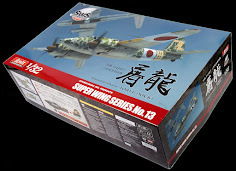 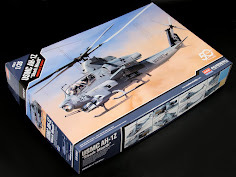 Until the magazine comes out here is always the blog written by Sang eon on all of his figures - http://hecklerkoch.blog.me/ and that place will have the details also of the Life Miniatures worldwide dealers. 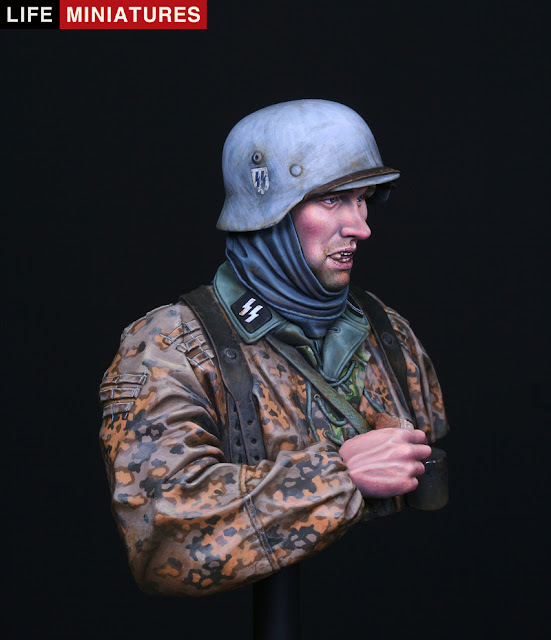 The figure was painted by Sang-Eon Lee and you can see the potential of the kit in this work by the master.